12 A adjustable step-down voltage source which is useful to build your own power adjustable laboratory. It has high power which is suitable for your experiments. This product is a step-down voltage source, high power (maximum 300W provided with additional dissipation). 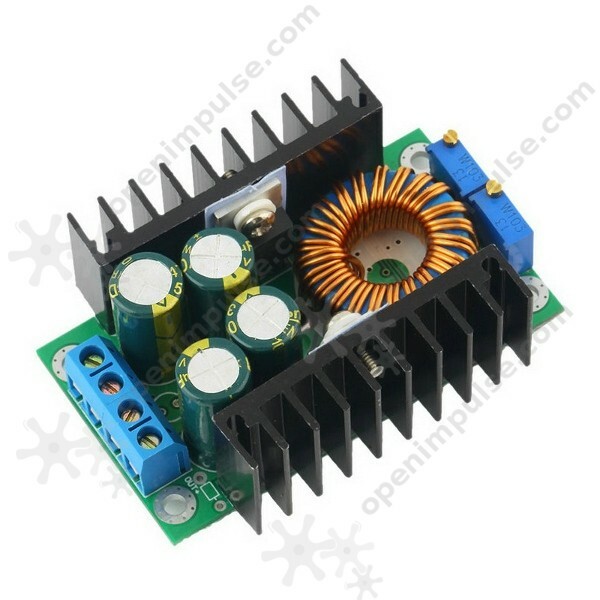 This module can be used to obtain voltages of 0.8 V to 28 V, 7 V from 32 V, with maximum current of 12 A, providing a suitable cooling. This is small in size with a very good efficiency, up to 95%, and very little heat dissipation, as compared with the power control. With this circuit you can build your own source laboratory with adjustable voltage and current or you can include it in your projects. Moreover, you can control LED power or recharge batteries safely.